Happy Friday! As you wind down the work week and gear up for the weekend, we thought we would share a video. This is an oldie, but a goodie! Check it out and comment to let us know what this video means to you. Recently an article was written by Joe Favorito of New Jersey Newsroom (.com) about the upcoming Special Olympics USA National Games. You can read the full article here. Learn more about the 2014 Special Olympics USA Games here. Volunteer for the 2014 Special Olympics National Games here. Check out this video. It was taken at our State Summer Games this past May during our “second line” and features one of our Project Unify Coordinators! Looks like fun! If you are interested in becoming a Project Unify Coordinator, click here. The P&GbrandSAVER® and Thank you, Mom program is ending this weekend! The P&GbrandSAVER® coupon books were in your local newspaper on Sunday, May 12, 2013 and coupons expire June 30, 2013. Around 11am today, we had an unexpected visitor at our state office. A 6 year old, little girl named Sunny. 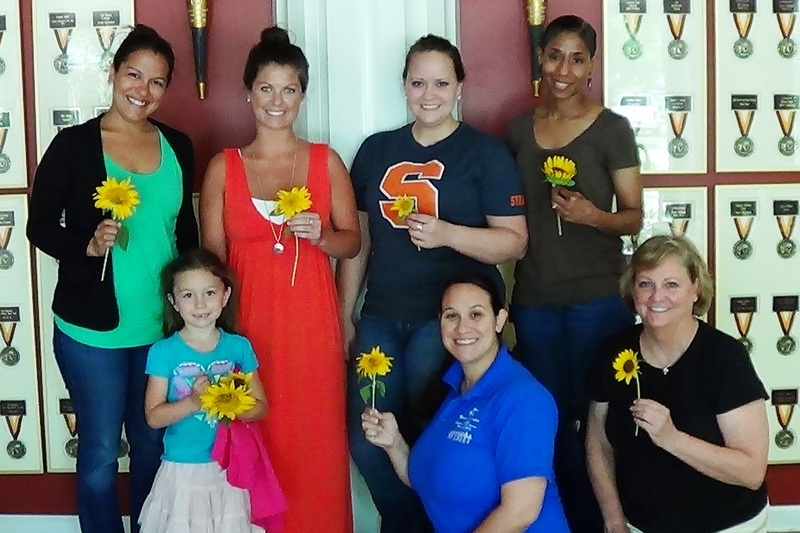 She dropped by, along with her mom, to deliver sunflowers to our staff! Being that they had an abundance of sunflowers, Sunny decided to hand deliver flowers to people all over the city. Here is a picture of Sunny (bottom left) with some of our staff. The Law Enforcement Torch Run brings together law enforcement officers and Special Olympics athletes. Its overall goals are public awareness and fundraising. 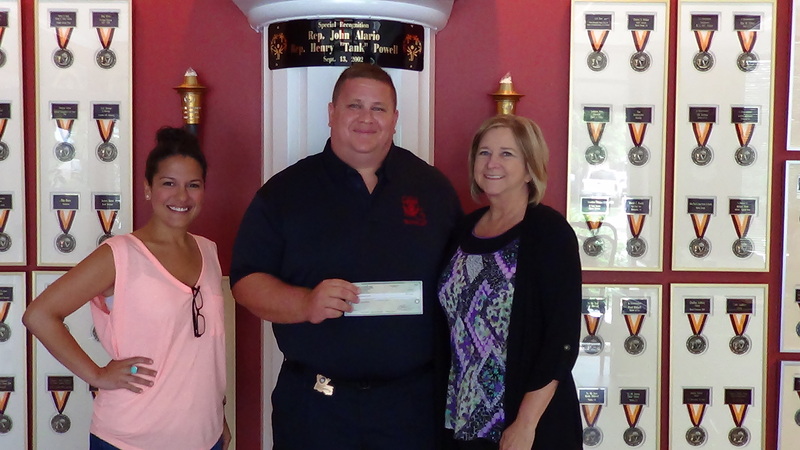 Beau Milligan from the Avoyelles Correctional Center presenting Special Olympics Louisiana a check. Officers at the Avoyelles Correctional Center have been supporters of Special Olympics Louisiana and members of the Law Enforcement Torch Run for several years. Recently, the officers spoke to the inmates about their involvement with our athletes and the inmates decided to put their money together and make a donation to our program! We love this new video a student at LSU, Mary Hannah Prevot, made for us. It is a documentary on three of our athletes and definitely a must see!